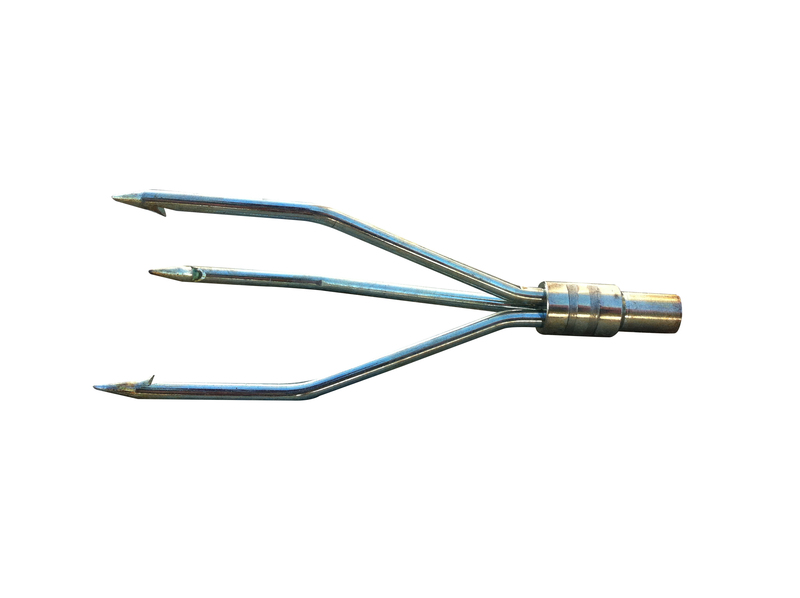 3455 Bandito Trident Spear Tip. Small, Zinc coated, 3 prong triangular pattern, standard 6mm tapped hole fits any standard 6mm threaded spear end. Visit these stores to purchase. Florida Keys Kiteboarding. 3456 Bandito Trident Spear Tip. 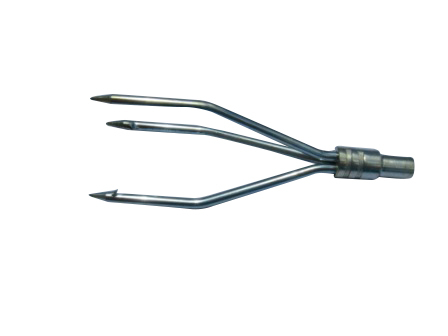 Large, Zinc coated, 3 prong triangular pattern, standard 6mm tapped hole fits any standard 6mm threaded spear end. Visit these stores to purchase. Florida Keys Kiteboarding. 3456 Spear Tip, Large Trident. 3459 Bandito Single Barb Spear Tip. Stainless steel, Standard 6mm tapped hole fits any standard 6mm threaded spear end. Visit these stores to purchase. Florida Keys Kiteboarding. 3460 Bandito Double Barb Spear Tip. Stainless steel, Standard 6mm tapped hole fits any standard 6mm threaded spear end. Visit these stores to purchase. Florida Keys Kiteboarding. 3468 Bandito Slip Tip. Tri-cut, stainless steel.